Les enregistrements réunis ici font entendre une sélection des plus grands succès de Duke Ellington joués par son orchestre à son apogée, entre 1938 et 1950. On y trouve d’une part de grandes compositions qui ont connu la gloire sous une forme purement instrumentale (Black And Tan Fantasy, Creole Love Call, Rockin’ In Rhythm) et qui sont restées au répertoire de l’orchestre tout au long de sa longue histoire, et d’autre part de merveilleuses mélodies devenues chansons immortelles, au même titre que celles des Gershwin, Cole Porter, ou Irving Berlin (In A Sentimental Mood, Sophisticated Lady, Solitude, I Got It Bad). On trouve enfin de grands succès composés par Billy Strayhorn, bras droit du Duke à partir de 1939, le fameux Take The A Train, indicatif de l’orchestre à partir de 1941, et le très poétique Chelsea Bridge, ainsi que deux tubes, ellingtoniens par leurs couleurs chatoyantes, Caravan et Perdido, et dont les thèmes sont dus à Juan Tizol, tromboniste portoricain qui exerça ses talents de nombreuses années au sein de l’orchestre. Il est à noter que les versions choisies de certaines œuvres ont été réalisées à l’origine pour un usage strictement radiophonique. Elles restent peu connues, mais leur qualité technique est à la hauteur de leur intérêt artistique. 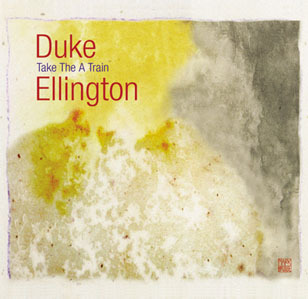 1.Take The A Train02:58 (Billy Strayhorn) Duke Ellington and His Famous Orchestra: Duke Ellington (p, dir), Wallace Jones (tp), Ray Nance (tp, v, voc), Rex Stewart (cnt), Lawrence Brown, Joe Nanton (tb), Juan Tizol (vtb), Johnny Hodges (as), Otto Hardwick (as, cl), Barney Bigard (cl, ts), Ben Webster (ts), Harry Carney (bar, cl, bcl), Fred Guy (g), Jimmy Blanton (b), Sonny Greer (d), Billy Strayhorn (arr, comp)..
2.In a Sentimental Mood03:00 (Duke Ellington/IrvingMills/Kurtz) Duke Ellington and His Famous Orchestra: Duke Ellington (p, dir, comp, arr), Shelton Hemphill, Taft Jordan, Cat Anderson (tp), Ray Nance (tp, v, voc), Rex Stewart (cnt), Lawrence Brown, Joe Nanton, Claude Jones (tb), Johnny Hodges, Otto Hardwick (as), Jimmy Hamilton (cl, ts), Al Sears (ts), Harry Carney (bar, cl, bcl), Fred Guy (g), Bob Haggart (b), Sonny Greer (d), Billy Strayhorn (arr)..
3.Things ain't what it should be03:18 (Duke Ellington/T.Pearsons) Duke Ellington and His Famous Orchestra: Duke Ellington (p, dir, comp, arr), Wallace Jones, Harold Baker, Taft Jordan (tp), Ray Nance (tp, v, voc), Rex Stewart (cnt), Lawrence Brown, Joe Nanton (tb), Juan Tizol (vtb), Johnny Hodges (as), Otto Hardwick (as, cl), Jimmy Hamilton (cl, ts), Skippy Williams (ts), Harry Carney (bar, cl, bcl), Fred Guy (g), Junior Raglin (b), Sonny Greer (d)..
4.It Don't Mean A Thing02:44 (Duke Ellington/Irving Mills) same as 3. 5.Prelude To A Kiss03:01 (Duke Ellington/Irving Mills) Same as 2, except Junior Raglin (b) for Bob Haggart. 6.Stomp, Look and Listen03:21 (Duke Ellington) Duke Ellington and His Orchestra: Duke Ellington (p, dir, comp, arr), Shelton Hemphill, Harold Baker, Dud Bascomb, Francis Williams (tp), Ray Nance (tp, v, voc), Lawrence Brown, Claude Jones, Tyree Glenn (tb), Johnny Hodges (as), Russell Procope (as, cl), Jimmy Hamilton (cl, ts), Al Sears (ts), Harry Carney (bar, cl, bcl), Fred Guy (g), Oscar Pettiford (b), Sonny Greer (d)..
7.I'm Beginning to see the Light03:13 (Duke Ellington/Jimmy Hodges/H.James/D.George) Same as 2, except Rex Stewart out, Junior Raglin (b) for Bob Haggart and Joya Sherrill (voc) added..
8.Rockin' in Rhythm03:54 (Duke Ellington/Irving Mills/Harry Carney) Same as 3, except Dizzy Gillepsie (tp) for Ray Nance and Harold Baker, Wilson Myers (b) for Junior Raglin..
9.Just Squeeze Me03:19 (Duke Ellington/L.Gaines) Same as 6, except Cat Anderson and Taft Jordan (tp) for Dud Bascomb, Wilbur DeParis (tb) added..
10.Chelsea Bridge03:05 (Billy Strayhorn) same as 1. 11.Caravan02:47 (Irving Mills - Duke Ellington/Juan Tizol) same as 5. 12.Black and Tan Fantasy02:50 (Duke Ellington/B.Milley) same as 5. 13.I Let a Song Go Out of my Heart03:01 (Duke Ellington/Irving Mills/H.Nemo/J.Redmond) Duke Ellington and His Famous Orchestra: Duke Ellington (p, dir, comp, arr), Wallace Jones, Cootie Williams (tp), Rex Stewart (cnt), Lawrence Brown, Joe Nanton, Herb Flemming (tb), Johnny Hodges, Otto Hardwick (as), Barney Bigard (cl, ts), Harry Carney (bar), Fred Guy (g), Billy Taylor, Hayes Alvis (b), Sonny Greer (d)..
14.Perdido03:10 (Juan Tizol/Ervin Drake/Hans Lengsfelder) Same as 1, except Junior Raglin (b) for Jimmy Blanton. 15.Sophisticated Lady02:51 (Duke Ellington/Irving Mills/Mitchell Parish) Same as 1, except Cootie Williams (tp) for Ray Nance. 16.The C Jam Blues02:40 (Duke Ellington) Same as 14. 17.Creole Love Call04:29 (Duke Ellington/R.Jackson/B.Miley) same as 3. 18.Just A-Sittin' and A-Rockin'03:35 (Duke Ellington/Billy Strayhorn) same as 1. 19.Mood Indigo05:04 (Duke Ellington/Irving Mills) same as 8. 20.I Got It Bad03:19 (Duke Ellington/Paul Webster) Same as 1, except Ivie Anderson (voc) added and Ellington plays also celeste. 21.Solitude08:23 (Duke Ellington/Irving Mills/Delange) Duke Ellington and His Orchestra: Duke Ellington (p, dir, comp), Cat Anderson, Harold Baker, Fats Ford, Nelson Williams, Ray Nance (tp), Mercer Ellington (French horn), Lawrence Brown, Quentin Jackson, Tyree Glenn (tb), Johnny Hodges (as), Russell Procope (as, cl), Jimmy Hamilton (cl, ts), Paul Gonsalves (ts), Harry Carney (bar), Wendell Marshall (b), Sonny Greer (d), Billy Strayhorn (arr)..